Going to the pumpkin patch is a treat for all of our senses. 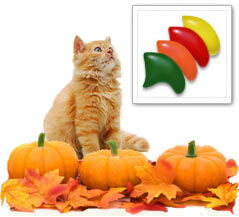 With our Pumpkin Patch nail cap combo, you can enjoy the joyful feelings of the patch whenever your kitty prances through the room. Cats shouldn't eat Halloween candy, but that doesn't mean they can't participate in the holiday fun by prancing around in these bright, candy corn-inspired nail caps. 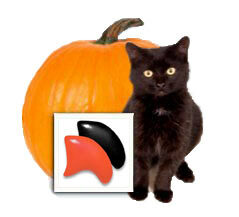 This stunning nail cap combo is great for Halloween, autumn, or any time. 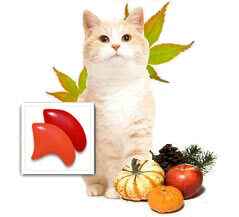 The stylish colors will have your cat strutting around proudly, showing off some kitty style. Deep purple and black make us think of midnight mysteries. 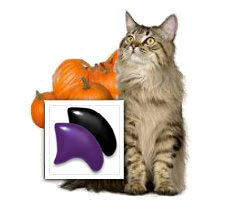 Cats love to be mysterious, and our Purple & Black Combo will have your kitty feeling stylish and stealthy. 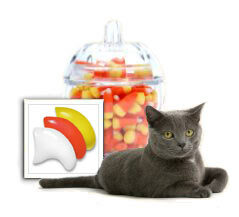 Deck your cat out in Halloween fun with our Meowlloween Combo. 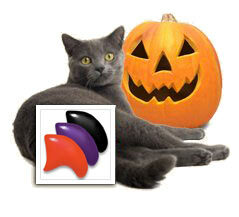 Orange, purple, and black nail caps will put you and your feline friend in the mood for some spooky celebration. 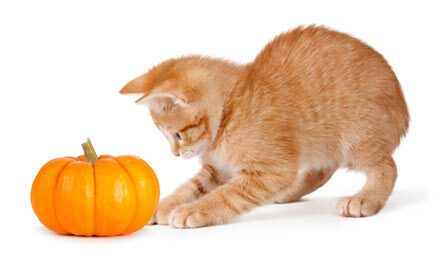 The leaves change, the seasons move on, and our cats love to take it all in, just like we do. A touch of fall color on their nails will have them flitting around like lovely falling leaves.